Lose the noise and wires. Lose yourself in the music. QuietComfort® 35 wireless headphones are engineered with world-class noise cancellation that makes quiet sound quieter and music sound better. Free yourself from wires and connect easily to your devices with Bluetooth® and NFC pairing. Volume-optimized EQ gives you balanced audio performance at any volume, while a noise-rejecting dual microphone provides clear calls, even in windy or noisy environments. Voice prompts and intuitive controls make communicating and controlling your music hassle-free. And a lithium-ion battery gives you up to 20 hours of wirelessly play time per charge. QuietComfort® 35 headphones are designed with premium materials that make them lightweight and comfortable for all-day listening. Use the Bose Connect app for a more personalized experience. Noise-rejecting dual-microphone system provides clear calls, even in windy or noisy environments. 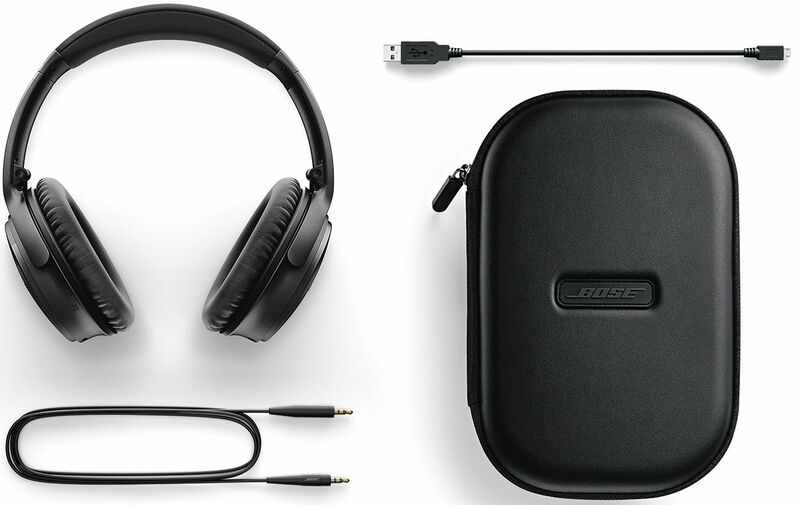 The Bose® Connect app helps you manage your paired devices and gives you a personalized experience. The full manufacturer's warranty from Bose is only valid when the Bose QuietComfort 35 Wireless headphones is purchased from an Internet Authorized Dealer. We will match any Internet Authorized Dealer's best price on the Bose QuietComfort 35 Wireless headphones. 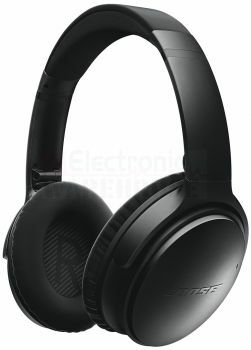 The Bose QuietComfort 35 Wireless headphones may be referred to by the following terms: 017817725453, 017817725460, 759944-0010, 759944-0020.